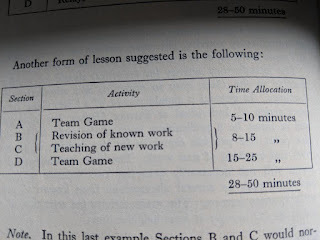 In 1986, Thorpe, Bunker and Almond in Rethinking Games Teaching wrote briefly about the influence of the original Loughborough games teaching team of Allen Wade, Eric Worthington and Stan Wigmore on the idea of using games as the vehicle for the transmission of skills. This led me to seek out their work in order to understand more about the evolution of game based coaching ideas when I wrote the first edition of Play with Purpose in 2007. I managed to track down Allen Wade and Eric Worthington's books. What struck me, is how similar the pedagogical thoughts in these books are to what some sport and coaching scientists espouse as as 'contemporary' practice. Below, I summarise some of the key ideas in each book. Allen Wade's The F. A. Guide to Training and Coaching represents Wade's accumulation of coaching wisdom from his years of coaching. The thesis of the book is nicely established in the Introduction with, "The main purpose of the book...is to present ideas and principles which require coaches to think. They in turn, must provoke thought and enquiry among their players" (p. vii). "A system of play is a recognizable pattern of play resulting from the use of certain players in fairly clearly defined functions on the field" (p. 43). Wade suggested two broad categories of systems on which the game can be played - man-to-man, and command of space. These are explained in Chapter 2. Wade suggested that individual technique through repetitive practice occur outside of the training from practice. Later in the book, Wade indicated individual technical work may occur in the warm-up phase of practice prior to the training form commencing. Chapter 9 "Skill" is interesting in that skill is defined as "the application of techniques in a situation where the player has co-operative possibilities and, at the same time, is opposed by one or more players" (p. 181). Decision-making is stated as "probably the most important single factor in developing skill at the game. It follows therefore, that practice situations must include these elements" (p. 181). In this chapter we read what is essentially a "game-based" approach foregrounding the "considerable importance that a player should understand why a certain aspect of play is necessary as opposed to merely being shown how it is achieved" (p. 185). In keeping with the training form suggested in Chapter 5, it is asserted that "all coaching should begin with some form of realistic competitive situation" (p.186). 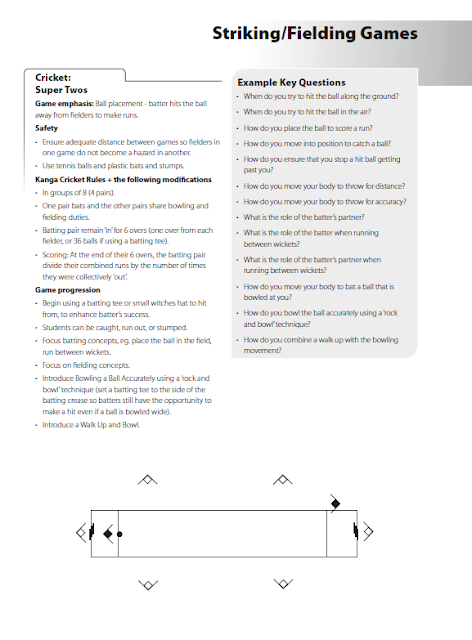 Eric Worthington's Teaching Soccer Skill added to the coaching literature a clear description of how and why to use small sided games to teach game skills. Chapter 3 is a great read for any coach or teacher of an invasion game. In this chapter, Worthington sets out his coaching approach called Principles of Play. He asserted that, "with a practical understanding of the principles of play it is again a normal feature for such players to be able to fit into any system of play or formation" (p. 54). For this reason, Worthington proposed the use of small sided games and the Principles of Play approach especially for young players. Although some illustrations of practice sessions in the book look somewhat "traditional", progressing from warm-up to skill practice to games, Worthington suggested that "initially, the coach should do no more than organise the players to play" (p. 160). This led into one of the key coaching tenets of the text, Realism - "To effect the best transfer from what is done in training session, practices should be used which are similar to those that players face in the game...the more realistic a practice the better the transfer will be" (p. 161). Another of the pedagogical tenets of the Principles of Play approach is the concept of "Freeze replay". This is where "the players must stop precisely where they are at the time the coach demands that they stop" (p. 172). The coach the uses this real situation as a "living tactical board to show the players what they are doing" (p. 172). 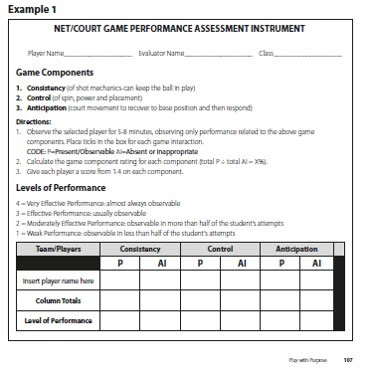 The way Worthington described the use of this pedagogy, the coach goes into observation of the game play knowing what game moment they are looking for, as they have decided going into practice what point they wish to develop with the players. In Chapter 7, Worthington sets out a continuum from "artificial" and "part" to "real" and "whole" game skill practice, which I find a useful reference when thinking about the purpose of an activity when coaching. Teaching Soccer Skill adopts a "non verses" stance to the instructional style of the coach, however, the "art" of coaching is described as organise, observe, then coach. #No doubt, many people will see similarities with some of the more recent ideas about sport teaching and coaching doing the rounds and the ideas presented by Wade and Worthington fifty years ago. As a sport and physical education researcher working in the "pedagogical tradition" I find it insightful to go back to early sources to check "what has come before". 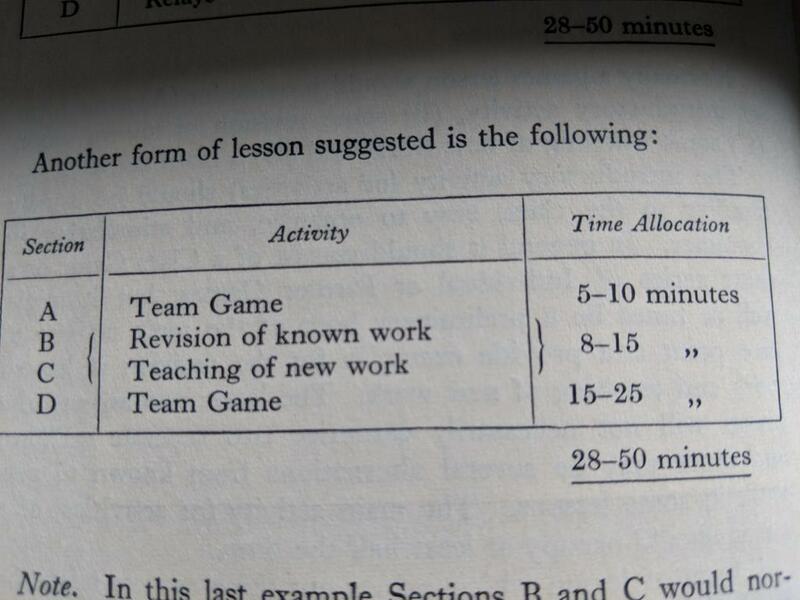 For example, this suggested lesson format from 1954 looks similar to the game-practice-game format of the Tactical Games model.